Bio-Terror Zombie Apocalypse Massacre Death Sword. Overall Length: 28 inches, Blade Length: 18 inches . The Bio-Terror Zombie Apocalypse Massacre Death Sword has an anodized black finish and constructed of stainless steel. This full tang piece has a tanto style tip with a factory edge. 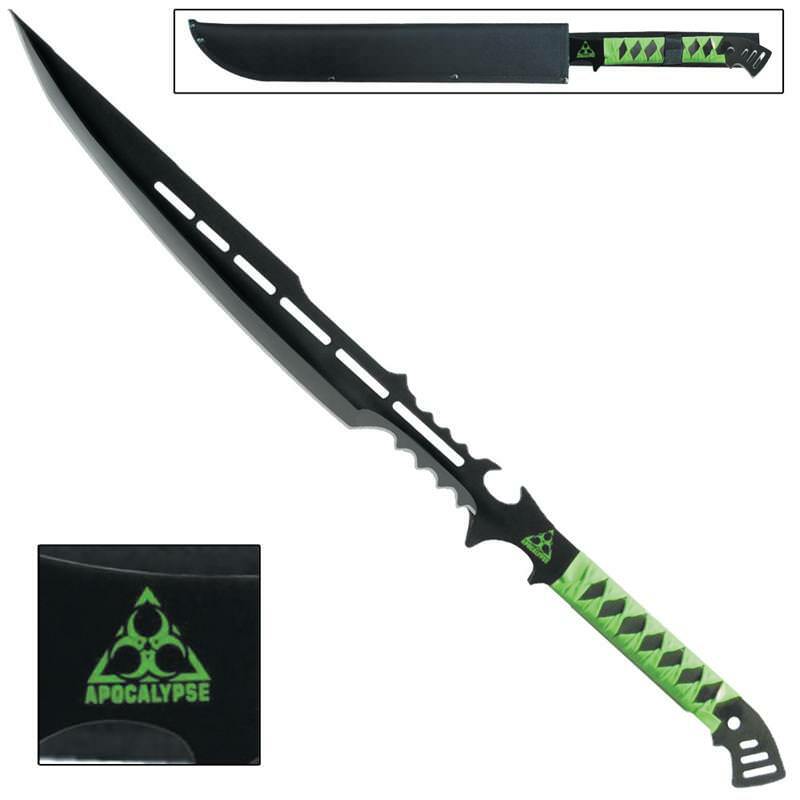 The handle is wrapped in black and green faux leather and an apocalypse emblem adorns the blade. 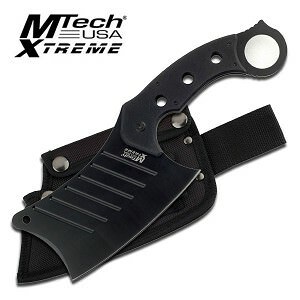 Included is a black nylon sheath with steel snaps and belt loop. This sword with its rugged and fierce look will strike fear in the hearts of even the undead brain dead.